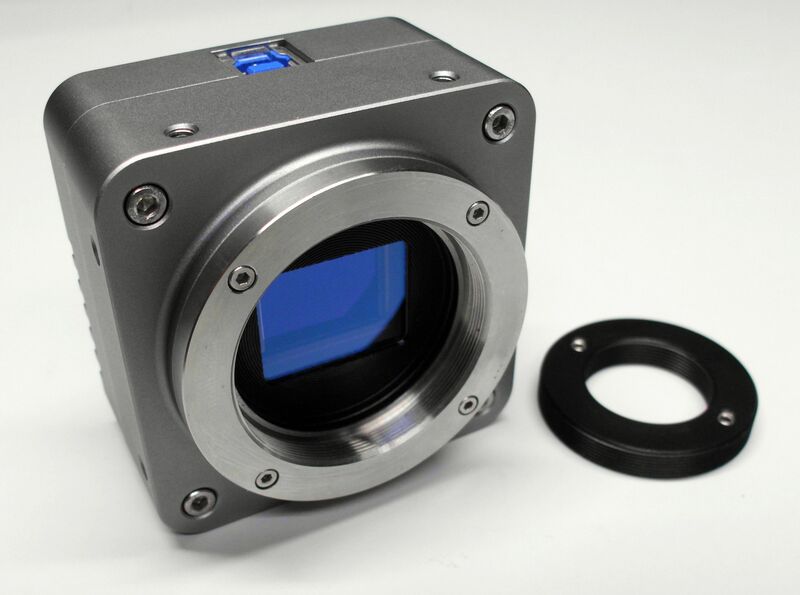 The SCM2020-UV camera includes the GSENSE2020BSI backilluminated, 1.2" (18.8mm diagonal) sCMOS sensor with 2048x2048 pixel, which are 6.5µx6.5µ in size. The max framerate at full resolution is 45fps. The SCM2020-UV is high sensitive with a very low noise of <2e-. The max exposure time is upto 1000s. Conversation gain selectable between LCG, HCG, HDR. The camera comes complete with our EHDView software, a SDK and USB3.0 cable for Windows 10. Also available is a EHDView lite for MAC OS and Linux systems. 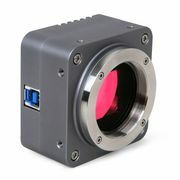 M24-Mount with C-Mount adapter included.